(2014/Earth) 10 tracks incl. CD (10 Tracks) Jackson C Frank's original 1965 album is a lost classic now proudly resurrected by Earth Recordings. Frank's eponymous 1965 album was produced by Paul Simon after he was impressed with seeing Frank play at folk clubs in England. It is said Frank was so shy during the recording that he asked to be shielded by screens so that those present; Paul Simon, Art Garfunkel and Al Stewart could not see him, he declared, "I can't play, you're looking at me." Frank is a true original. His music comes from a blues and folk background but it is the sincere individual style that he developed which resulted in such a unique record. At once tender, moving and haunting, ackson C Frank' is steeped in emotional honesty whilst riding a wave of deep melancholy. His virtuoso playing is disguised in a manner of simplicity, owed much to his relaxed nature. Franks lyrics further the experience as he expounds upon the existential nature of relationships, the passing of the seasons and other honest and often painful moments of a world drifting by. 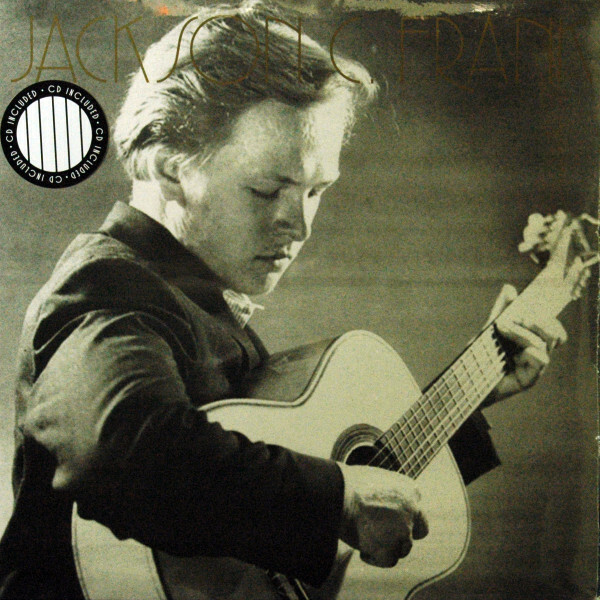 The self-titled debut by Jackson C Frank is a singular work of art, a personal statement from a man that faced an uphill battle with life following the albums initial release, leading to his neglect for many years despite the unadulterated acclaim from fellow folk musicians and critics alike. John Peel was a fan, often playing tracks on his BBC radio show. His songs have been covered by Simon and Garfunkel, Bert Jansch, Laura Marling and Sandy Denny (whom he dated for a while) and the track Milk and Honey' was selected by Vincent Gallo to appear in his film he Brown Bunny'. Earth recordings are immensely proud to re-issue this lost, legendary recording by Jackson C Frank with the intention of moving it from its current cult status, to that of the absolute folk classic it truly deserves. Kundenbewertungen für "Jackson C. Frank (incl. CD)"